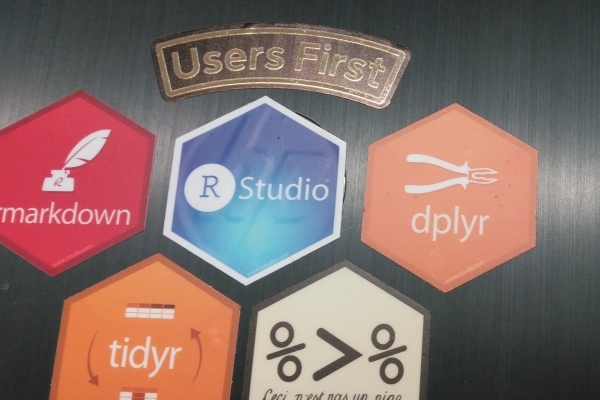 Along with Python, the R programming language is one of the most popular open source technologies for data science work. R is a programming language and software environment for performing statistical calculations and producing data visualisations. - automate the steps required to run our national transport models and forecasts. The conference highlighted how we can use programming to improve various processes and transport models, making them automatic instead of relying on manual editing of spreadsheets. We were shown a great video explaining the benefits of moving from spreadsheets to R programming to produce automated reports in Word, pdf and web formats. As well as automating tasks, data science techniques can be used to create interactive graphics and dashboards to improve the way we communicate our analysis within DfT. 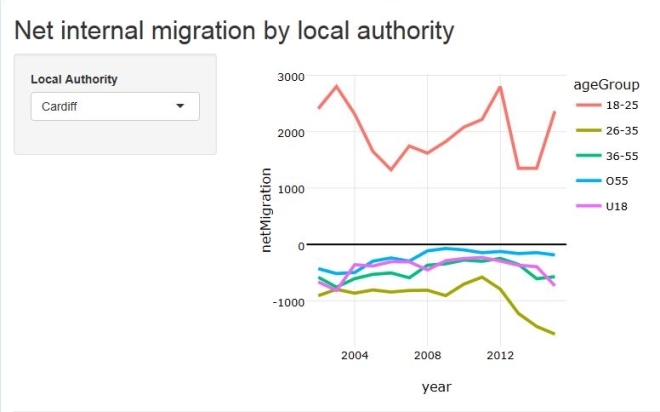 An example is the interactive visualisation that we were able to rapidly create using R and data published by ONS to help us understand urbanisation trends for our traffic forecasting projects. Another benefit is that, if you need to tweak an analysis or visualisation in some way, it's often quicker and easier to do this in R than to unpick a spreadsheet-based version. There was a great turnout from the Government Data Science community at the conference. As a cross governmental group we mostly communicate through Slack, a digital communication tool, to help each other with data science issues and so it was good to put some real faces to online avatars. Finally, it was a great opportunity to grab some extra stickers to add to my laptop!